Welcome to the Library of Wigner Research Centre for Physics, Hungarian Academy of Sciences! The library was founded in 1953. The core of the current library formed the basis of the stocks of smaller department libraries which were merged to establish a unified, professional library in 1960. We are the common research library for the Wigner Research Centre for Physics and other local HAS research institutes, Centre for Energy Research, CER Institute of Technical Physics and Materials Science. Our main task is to promote research for local HAS research centres located at the Csillebérc site, on the top of Buda Hills. 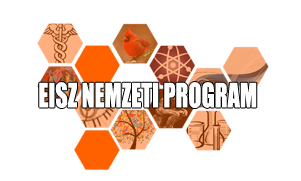 We are also the home library for Physics science in Hungary. We offer Physics and Materials Science collections and also selections of Chemistry, Computer Science and Mathematics. We are limited open to the general public, however guest users are welcome. Members can get access to over 60000 books, 40000 journal issues, 41000 reports and a large range of digital resources.